A reunion of my old women’s group in Dundee ( in both senses) and a chance opened up. 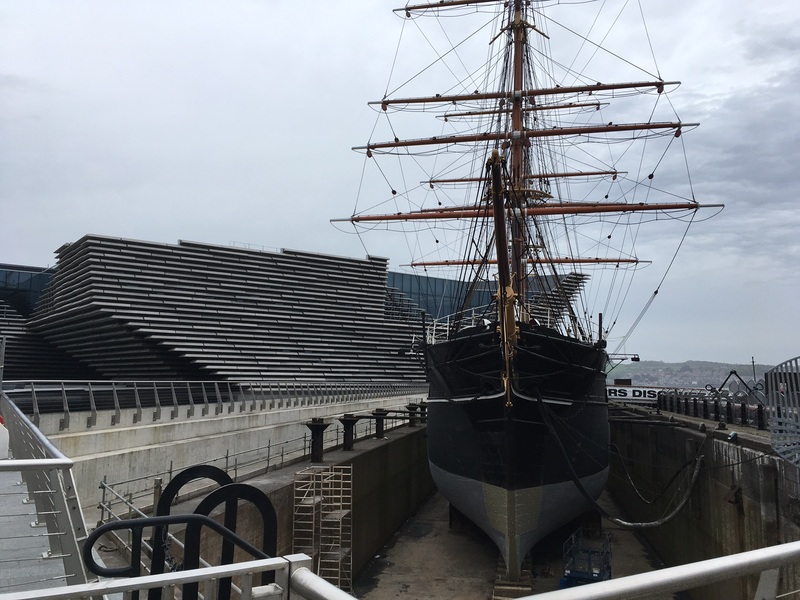 Excellent meet up, catch up on 8 years gossip, fun dinner and a chance to see the new Dundee emerging. Looking good! 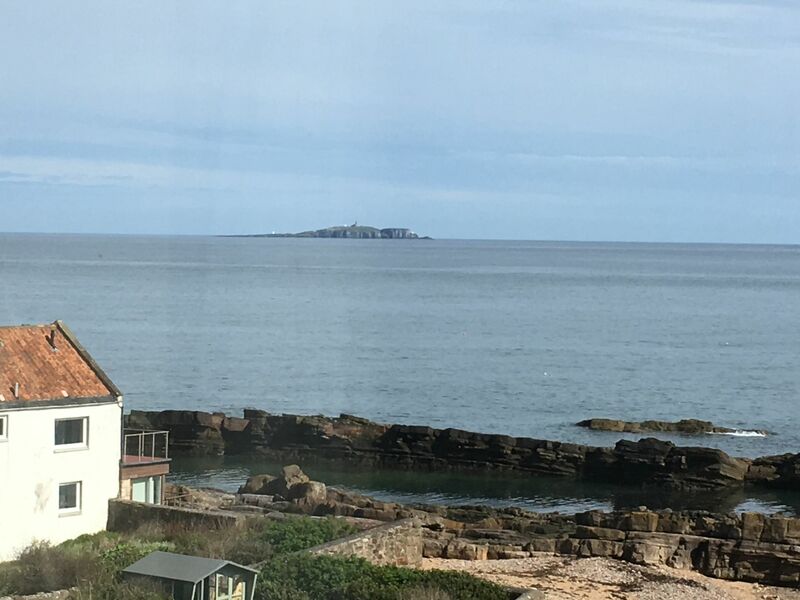 “Goodbyes” then off…..
Cross the Tay bridge and you reach The Fife Coast running south of St Andrews down to Elie, the elegant seaside and golf resort. Little fishing villages en route. Booked myself a BandB night in Cellardyke, half way down, and set off. Love that feeling of setting off into the unknown. What will emerge? As expected, on the approach to St Andrews there were the golf links, the Old Course, and then the ancient University buildings. Lovely, not unexpected. 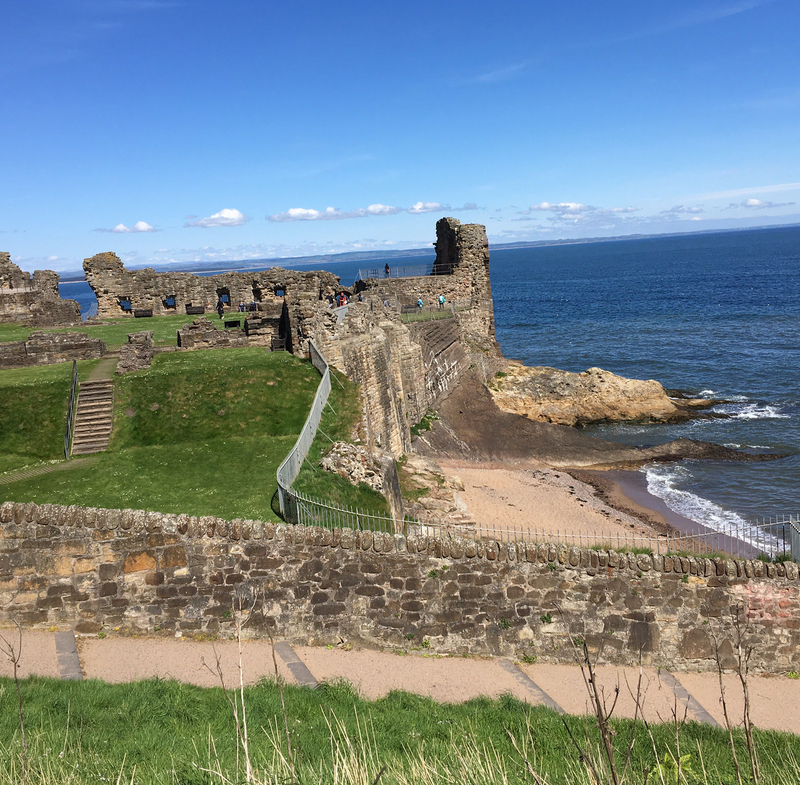 But then, there it was….the first surprise….a perfect ruined castle and the sea. Hadnt known about that. No, the sea wasnt sloping, the path was. But I had never imagined St Andrews was so pretty. And people enjoying that beach too. 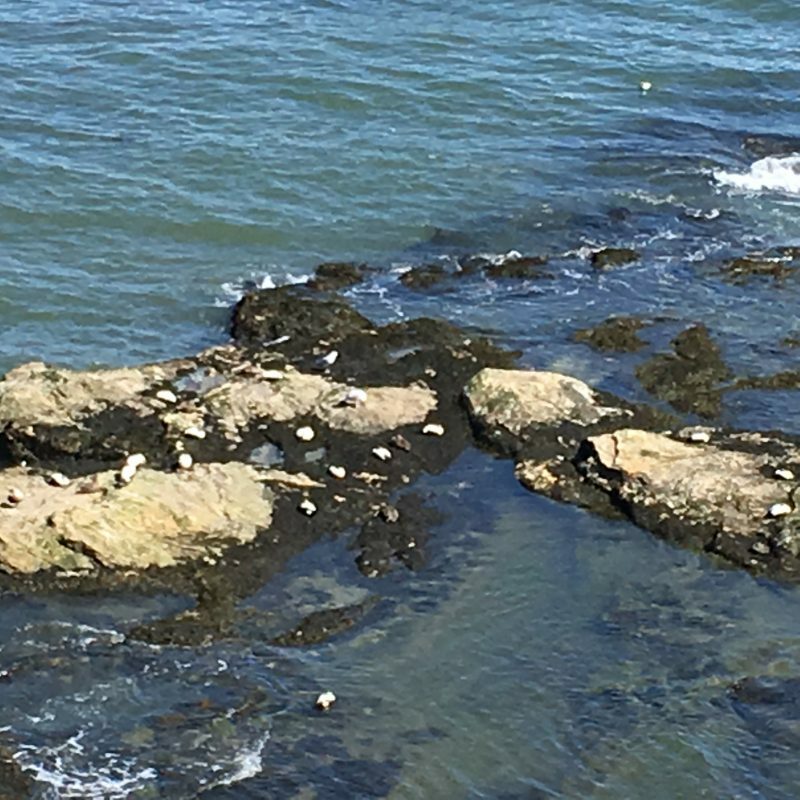 Not Gulls. They are Eider Ducks, the males exotic white with stunning eye make up. And this plant on that wall. Never seen it before. 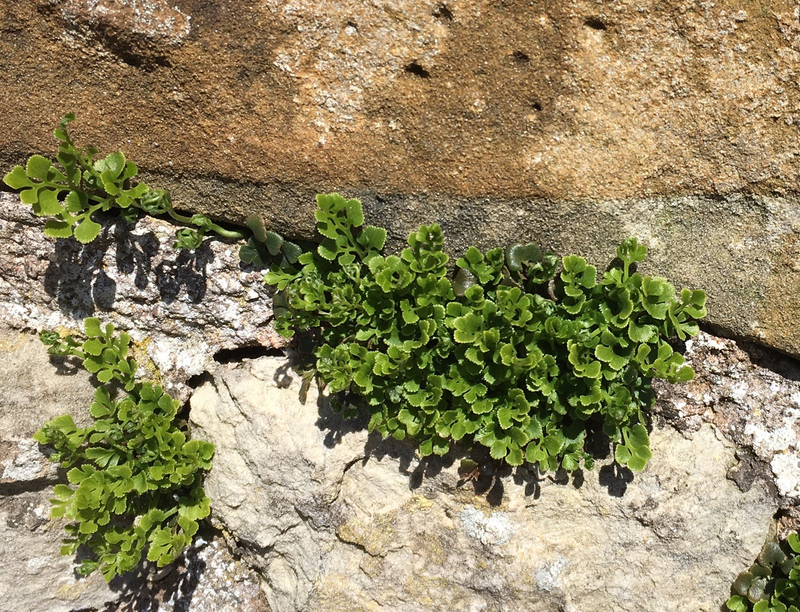 Having checked with expert friends found it is Sea Spleenwort…relatively rare. Likes salt splashed places. They were green to hear I had seen it! Didn’t know St Andrews has a charming harbour too. On to Anstruther and my B and B in Cellardyke. 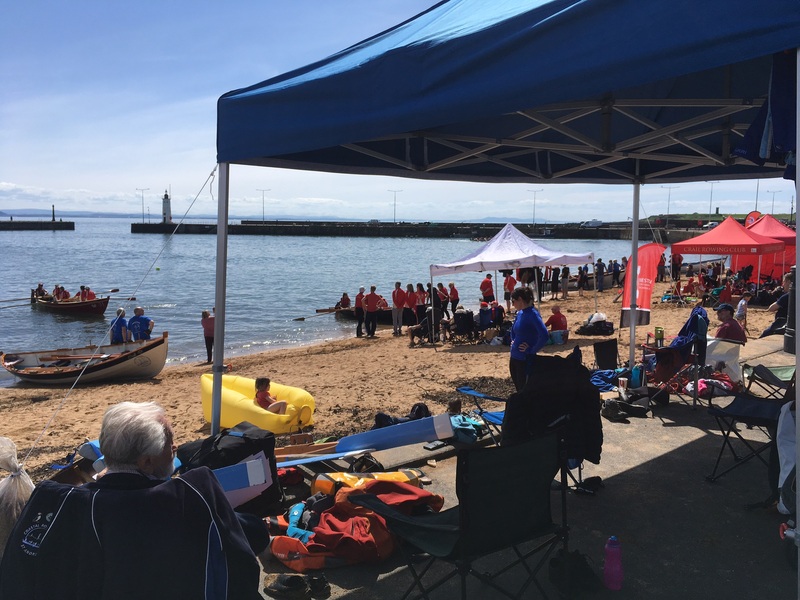 Anstruther was having a festival ..Open Sea Rowing Clubs competition. Not the yellow one. Sun and happiness al around. The front doors of the houses open straight onto the road. Quite unprepossessing as you arrive. But a wonderful warm welcome from Brenda ….and …Look at this for a view from the window in my room! And a super pub across the road, the kind where you can easily chat to local people. So I did. 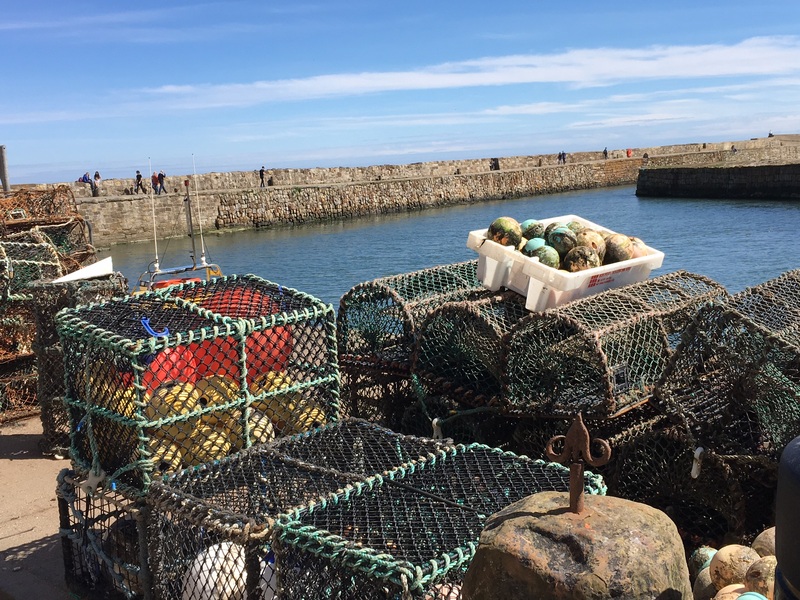 Learned the history of Cellardyke’s fishing industry and discovered how proud of it they are…generous with drinks too! Fun evening. Next day on to Elie, discovered its beautiful bay and excellent beaches. On the way called in to Pittenween, lovely name for a charming little fishing village. Absolutely quiet except for a group who were singing hymns to a guitar on the harbour wall. Magic! En route found the Farm Food Fair both Brenda and the pub people had insisted I must visit. 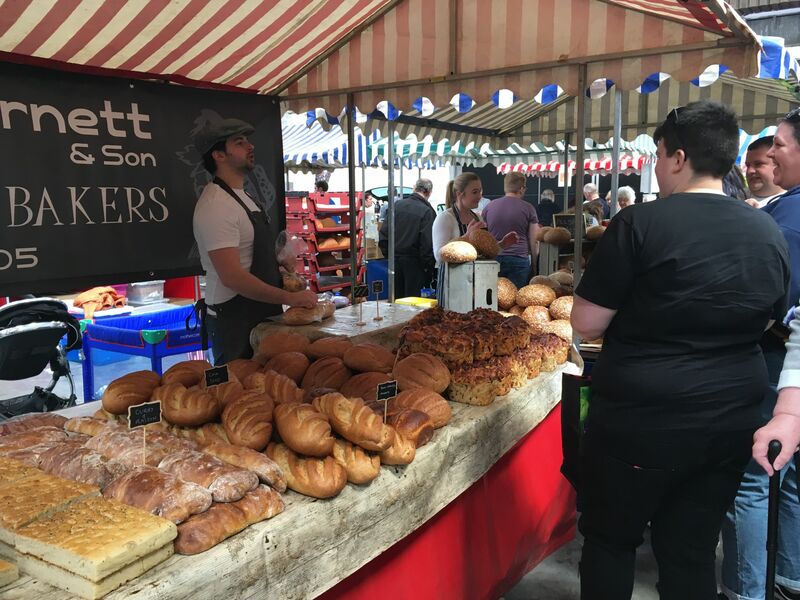 Luscious Artisan bread from Cellardyke…..tempted? Yes. And home via the beautiful new Forth Bridge. Feel so lucky to still be able to have solo adventures like this. PS Thanks to the locals in the #CoastalInn Cellardyke for a lovely friendly evening. 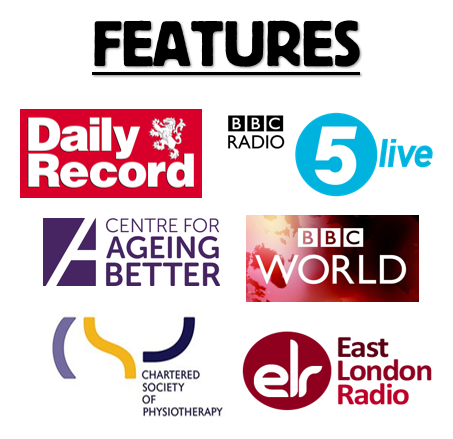 PPS blog.feedspot.com has just listed this as one of the Top 60 Aging Blogs. Proud to be there but most of all to get over the message…Age is a great time of life. Enjoy! Previous Post At 80+ That Pause. The One When You Stand Up and Freeze! Next Post Fraying at the Edges..
Congratulations on being of the top 60 aging blogs. Well deserved, Joyce. I love your posts. Your fellow aged are grateful for the curiosity that has always led you astray, way off the safely beaten paths the rest of us traverse, into adventures we can vicariously enjoy in your unfailingly readable blogs. Many congratulations on being in the top 60 of lifestyle bloggers – woo hoo!!! 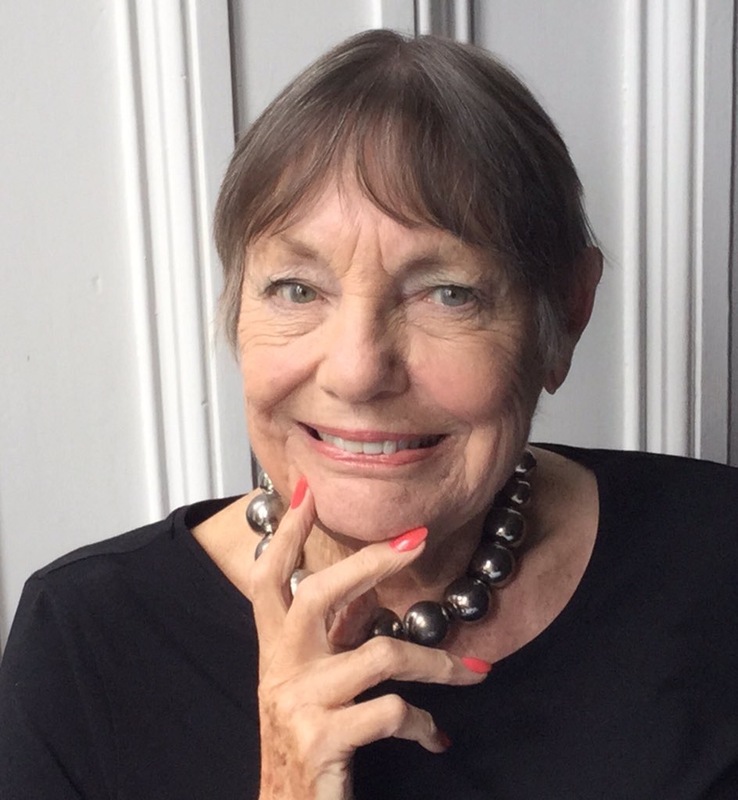 Yes, life is great at this age – says someone approaching 72!